Cognitive Behavioral Therapy (CBT) is a skill-based approach to talk therapy. In CBT, you’ll work with your therapist to learn techniques to better deal with concerns such as anxiety and depression. The goal of CBT is to replace negative thought patterns and their residual actions with empowering behaviors that allow you to overcome difficult moments. CBT can be especially helpful for New Yorkers who are goal oriented, like to build skills, and independently implement changes. It can also be a useful approach for busy New Yorkers because it is designed to be a shorter form of treatment. 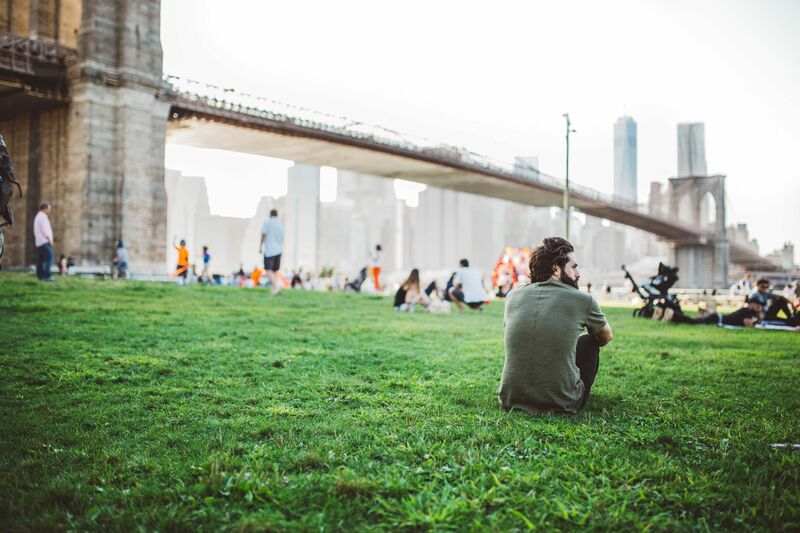 To learn more about cognitive behavioral therapy in NYC, read on for a breakdown of costs, how to use health insurance, and what to look for in a provider! And when you're ready, find CBT therapists in Manhattan, Brooklyn, and other parts of NYC. Filter by cost and insurance, watch therapists' introductory videos, and book free initial calls to find the right CBT therapist for you. How much does CBT in NYC cost? Find a CBT therapist in NYC who accepts your insurance below. Can't find your health insurance, or many CBT therapists listed? If you cannot find a therapist who takes your health insurance, consider paying out-of-pocket (on average $150 to $250 per session in NYC for CBT therapists) or use sliding scale fees, as explained below. For instance, a therapist's standard session fee might be $150 per session – but they might offer a sliding scale cost of $100 - $150, depending on your ability to pay. This means that when possible, they’ll work flexibly within your budget, and offer lower fees to help you receive mental health care. Find cognitive behavioral therapists who offer sliding scales in NYC below. If you cannot find a therapist who takes your health insurance, you would pay for therapy sessions out of pocket; in these cases, cognitive behavioral therapy in NYC costs on average $150 to $250 per session. If you find a therapist who takes your health insurance, you may only pay a copay at each session, which typically ranges from $20 to $40 per session. Therapists who do not take your health insurance are called "out-of-network therapists"; they charge on average between $150 and $250 per session. You would pay the session fee at the time of the appointment. This fee range is in line with other types of therapy, such as psychodynamic therapy. If you find an in-network provider who takes your health insurance, your health insurance company pays for the majority of the session fee. This means you only pay the regular copay rates, which usually range from $20 to $40 per session for mental health appointments, including cognitive behavioral therapy. However, if you have a high deductible health insurance plan, you may need to pay the full session fee at each appointment until your health insurance starts to pay for sessions. Therapist practices CBT: You're looking for cognitive behavioral therapy, so make sure your provider practices CBT! Check online profile or website, or ask on a call. Strict CBT or CBT as part of general psychotherapy: Determine if you are looking for a strict cognitive behavioral therapist, or looking for CBT as a part of a more general or holistic psychotherapy treatment plan. A strict CBT practitioner will assign you homework, focus primarily on behavioral change and skills building, and offer shorter-term therapy (typically 6-12 sessions). If you've used a mental health app or a book that walk you through self-guided cognitive behavioral therapy treatment, you've used this strict CBT approach. On the other hand, most therapists who indicate they provide CBT use it as a part of a broader treatment plan; for example, they will weave CBT skills and homework into their work with you, but also incorporate insight-oriented work, meaning they will help you reflect on childhood experiences, analyze current relationships, and gain understanding of how and why you may be experiencing the challenges you face today. Does one or the other appeal to you? Determine what CBT means to you and look for the appropriate provider. Look for a licensed provider: As with any therapist search, make sure your cognitive behavioral therapist is a licensed mental health professional: psychiatrist, psychologist, clinical social worker, mental health counselor, or licensed creative arts therapist. In New York City, you can use the New York State Office Of The Professions verification search tool to find a therapist's license status and conduct a background check on the New York State Unified Court System. Every therapist on Zencare has passed this license verification and background check, so you are in good hands with Zencare therapists in NYC! There is no license for CBT: While it's important to find a licensed psychotherapist, there is no particular degree or license needed to practice CBT. Most therapists are trained during graduate school and internships in either cognitive behavioral therapy (skills and behavioral work) and/or psychodynamic therapy (insight-oriented, reflective work), so as long as they indicate CBT as an approach they utilize, you should be all set. Specialization in your particular concern: If you are looking for CBT for a specific mental health condition or challenge, make sure the provider offers this and specializes in it. For example, there are offshoots of CBT such as exposure and response prevention, an effective treatment for phobias, social anxiety, and obsessive compulsive disorder (OCD). Not every CBT therapist has advanced training in these more specialized approaches or conditions, so ask specifically about their training and expertise in these fields. Personal fit: Finally, but most importantly, be sure to prioritize personal fit. You’ll want to be comfortable enough with the therapist to ensure room for growth (a concept known as the therapeutic alliance). Stress and anxiety: CBT can help New Yorkers who are grappling with anxiety and stress to implement effective beneficial behavioral changes to alleviate their symptoms. Insomnia: CBT-I, a form of CBT, is proven to be highly effective in reducing insomnia and other sleep disorders. Work stress: The long hours in NYC culture (especially for, but not limited to, professions like bankers, consultants, and lawyers) can lead to burnout. Phobias: For those experiencing a phobia of subways, enclosed spaces, heights, or other entity that is common in NYC, CBT is proven to be an effective treatment. Academic stress: CBT can help students cope with the pressure of college and university in NYC. In your first session, you’ll work with your therapist to identify which patterns of thinking and behavior contribute to negative moods. In subsequent sessions, you will learn behavioral techniques based on the identified patterns of thinking. These techniques will be designed to support the process of changing your thoughts and emotional experiences. Rational problem solving: A six-step process to identifying the most effective solution to a clearly defined problem after considering important alternatives. Relaxation training: A variety of techniques used to calm the nervous system. Examples include breathing exercises, mindfulness skills, visualization, and progressive muscle relaxation. Guided imagery: Using words, music, or images to elicit positive and calming imagined scenarios. Social perspective taking: Consider how others may interpret a situation differently. Exposure and avoidance hierarchy worksheets: A tool used to assess anxiety levels about certain situations. The above examples are just a few approaches to CBT – you and your therapist will determine which ones are right for your situation and needs. 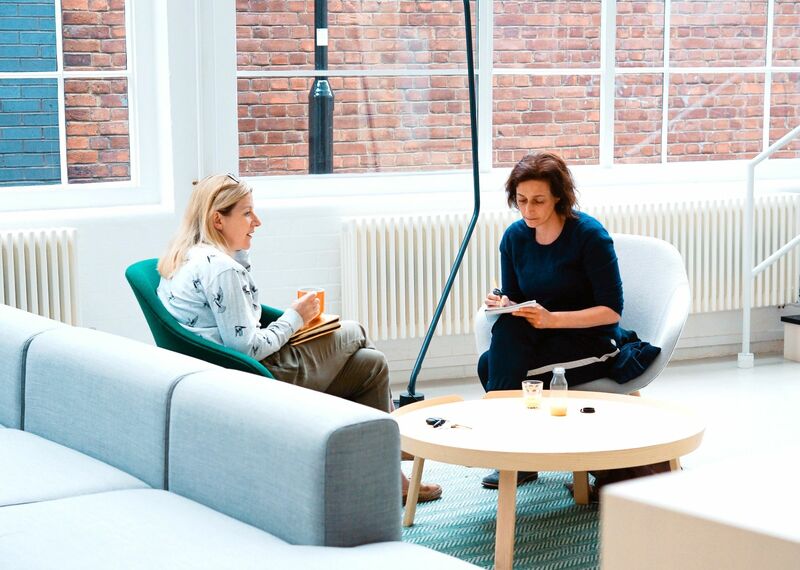 To learn more about finding a therapist in NYC, including therapists who practice other therapy types like psychoanalytic therapy, read our Ultimate Guide To Finding A Therapist In NYC.